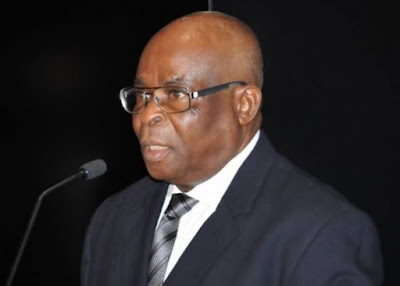 Chief Justice of Nigeria (CJN) Walter Onnoghen’s five bank accounts have been frozen on the orders of the Federal Government. The Attorney-General of the Federation (AGF) and Minister of Justice, Abubakar Malami, has requested the Director, Nigerian Financial Intelligence Unit (NFIU) to freeze the accounts. The Code of Conduct Bureau (CCB), in the charge it filed against the CJN before the Code of Conduct tribunal (CCT) for which he was to be arraigned on January 14, accused Justice Onnoghen of failing to declare the accounts. In a letter, written on the official letterhead of the AGF, but signed by Abiodun Aikomo, dated January 14, 2019, and received same date at the office of the Director of NFIU, the AGF directed that the accounts be frozen pending the conclusion of the charge before the CCT. It reads: “I am directed by Mr. Abubakar Malami (SAN), the Honourable Attorney-General of the Federation and Minister of Justice to request that you, pursuant to Executive Order 6 of 2018, forthwith restrict normal banking operations on certain accounts belonging to Hon. Justice Walter Onnoghen pending final determination of the case against him at the Code of Conduct Tribunal (CCT/ABJ/1/19 – Federal Republic of Nigeria v Hon. Justice Walter Onnoghen Nkanu Walter Samuel.